The Secret Diary of Steve Jobs : Have you seen this crooktard? Have you seen this crooktard? This is a billboard at Times Square. 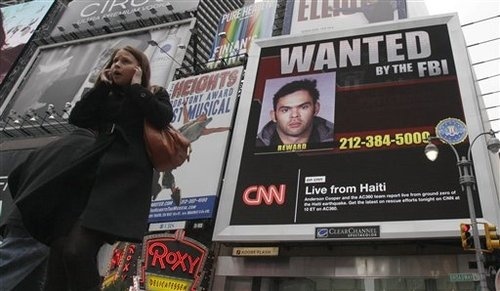 Clear Channel is giving the FBI access to over 400 digital billboards in the US, to help bring these knuckleheads in.